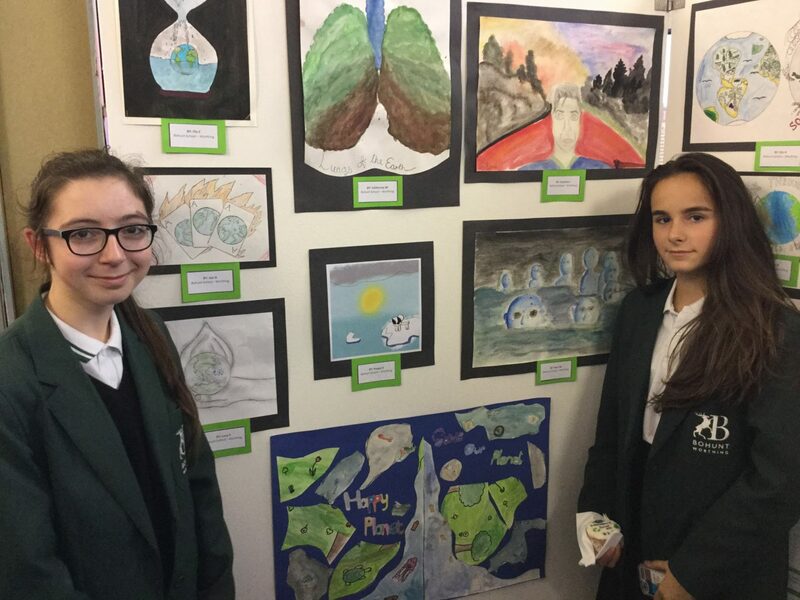 We are proud to announce that over thirty Bohunt School Worthing students had their work selected for a Climate Change Art Exhibition in Shoreham-by-Sea last month. The event was organised by EYE project for the 9th Worthing and Adur Eco Summit and held at the Ropetackle Arts Centre from 10th to 14th October. Students were given the challenge of illustrating the effects of climate change, using any 2D medium. The selection panel said they were really impressed by the high standard of work from Bohunt students and the wide range of approaches they took in their art. Students and their parents were invited to a reception event on Tuesday 11th October. The event was packed out, and our students were thrilled to see their work on display in a real art gallery, and to be part of raising awareness for such a pressing cause that will affect young people more than anyone.